Say hello to the amazing, Cathie Whiteside from Rock Island, Illinois! 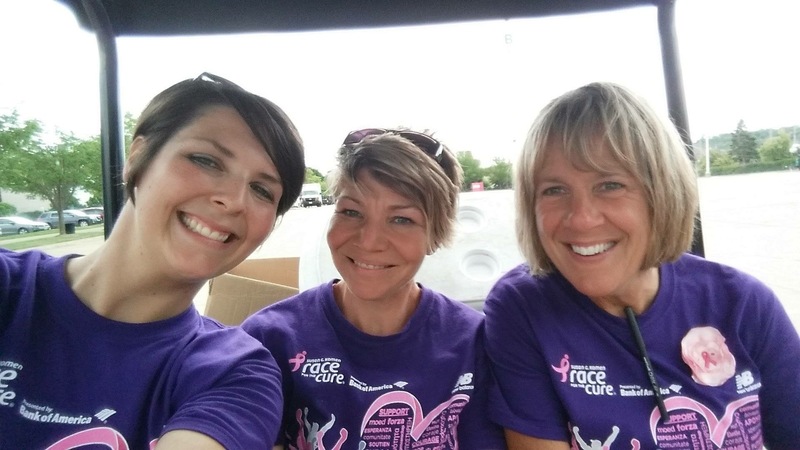 Cathie is a board member with Susan G. Komen Greater Iowa and has some pretty incredible experiences with our organization. Learn more about her below. I am retired from full-time employment and am serving as a Consultant for QCR Holdings, Inc. – a multi-bank holding company. I was an EVP at QCR Holdings for 10 years and the Station Manager of KWQC-TV6 for 20 years before that. 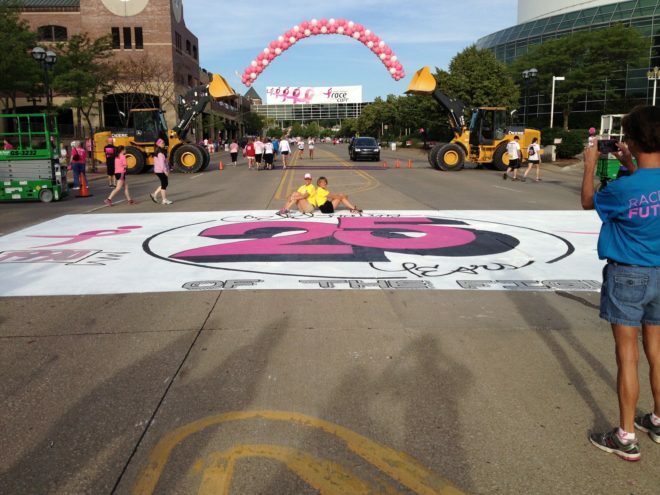 My husband and I have served as the Race Directors for the Komen Quad Cities Race for the Cure for 28 years. Our two grown sons have grown up in and around the Race and now serve on the Committee as well. 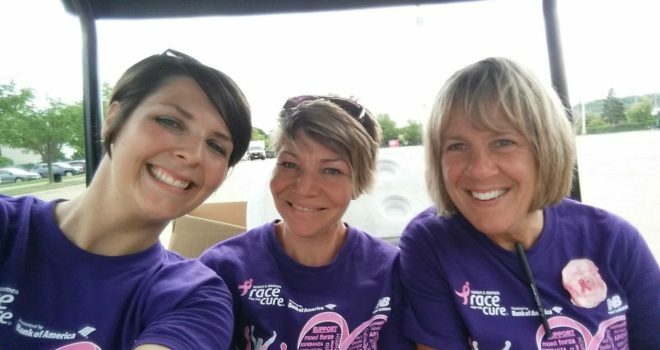 Not personally, but over the past 28 years some of our closest friends have been made through RFTC – many of them breast cancer survivors. 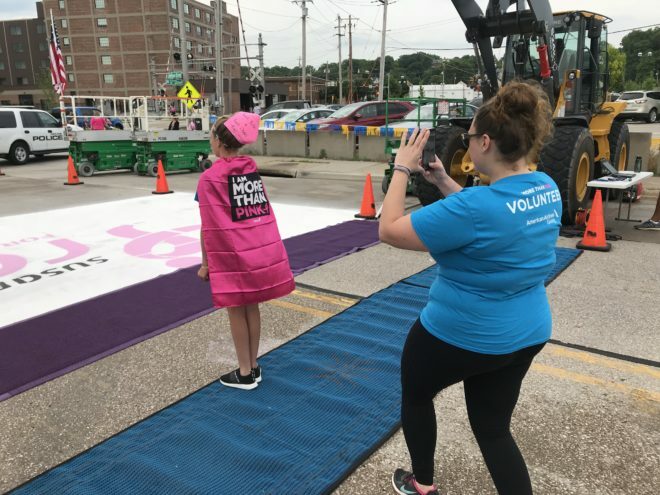 I’ve always been inspired from the hard work and countless hours put in by Komen volunteers. Everyone has somehow been touched by breast cancer and helping in such a grassroots effort is very rewarding. 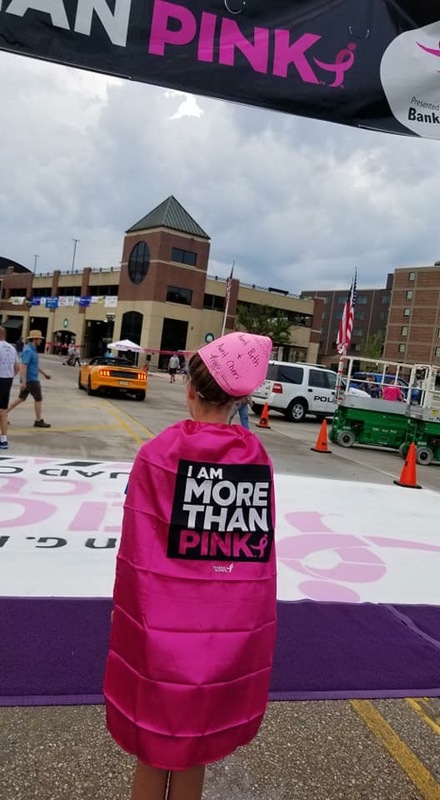 Komen has done an amazing job of elevating the awareness of breast cancer in the United States by being the first very successful series of cause related races. We enjoy using our God-given gifts of event coordination and knowledge of races to help further the cause. I think people need to “plug in” where they feel most comfortable and helpful. It might be an event, it might be as an ambassador delivering education, it might be fundraising or it might just be signing up for a race.